Use clip in fringe to transform your look with this easy to apply product. It will take seconds to attach, so if you want to try a fringe, clip in and out without causing any damage to your hair. This 100% human hair fringe is designed to fall over one side of your face in a popular style made by celebrities. This side-swept hair fringe can be worn on either side and styled. 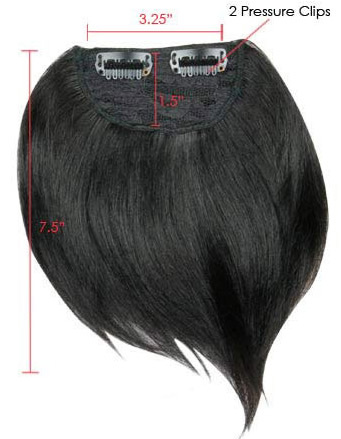 This clip-in hair fringe is ready to wear, but you can cut and style the hair. 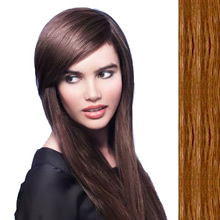 We recommend for cutting or styling to take the extensions to a professional stylist.